With word that Microsoft is already rebranding the Windows Phone brand to just Windows. as evident with the “HTC One for Windows” and also the leaked image of the GoFone G47W for Windows. With Microsoft also owning the licensing to the “Lumia” brand name, I would love to see then drop the numbering scheme from the Lumia portfolio, numbering which Nokia has used for so many years (808, 3310, 6600, 920, 1020). Like the Lumia Icon, in my opinion is a much better reference to a flagship phone that the Lumia 930. So with upcoming Lumia models, Microsoft should consider using iconic names with the Lumia brand. For instance, it would be great to see a Lumia Titan (like the former HTC titan), or a Lumia Atom, Lumia Photon or even a Lumia G6. just like the Lumia Icon, carrier variants can use these names while internationally unlocked version can still stick with the archaic numbering system. 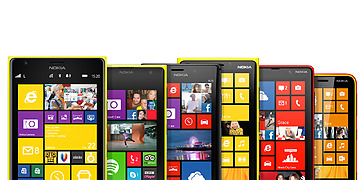 So, I’m asking you reading this… what would you name your next Lumia? Rumor: Lumia Denim update to begin rolling out in 2 weeks?